OUR COMMITMENT TO YOU Busselton & South West Rent-A-Car is a car rental company in Busselton, Western Australia servicing both the leisure and business traveller. We are committed to providing quality service and value for money. In particular: our vehicles are serviced and maintained in accordance withmanufacturers’ recommendations. We welcome Your feedback. Please tell us where we are going wrong by contacting by phone or mail (rentals@busseltonswrentacar.com.au. (We would also like to hear about what we are doing right)). CONSUMER RIGHTS STATEMENT All Your rights set out in this RentalAgreement are in addition to Your rights as a consumer (‘Your ConsumerRights’) under applicable consumer protection legislation, including the Australian Consumer Law. Your Consumer Rights are not excluded, restricted or modified by this Rental Agreement. You can find out more about Your Consumer Rights from consumer organisations and bodies such as the Australian Competition and Consumer Commission and State/Territory fair trading authorities. South West Rent-A-Car and You is made on the date shown on theRental Document You have signed in respect of the Vehicle (‘Rental Document’), and is made up of that Rental Document and theseTerms and Conditions. In these Terms and Conditions. ‘Your Account’ means Your debit card, credit card or Busselton & South West Rent-A-Car charge account to which Your Rental Charges are to be debited. learner’s licence or provisional licence) to drive the Vehicle andhave been licensed to drive vehicles of the same category as the Vehicle for at least 12 consecutive months. You are responsible for the acts and omissions of an Authorised Driver or any other person You allow to drive the Vehicle and neither You nor any unauthorised driver will have the benefit of the Loss Damage Waiver option or Excess Reduction option (if accepted or included in Your rate) if You allow an unauthorised driver to drive the Vehicle. 3.1 You and any Authorised Driver must only use the Vehicle on a road which is properly formed and constructed as a sealed, metalled or gravel road (unless the Vehicle is a 4 wheel drive vehicle). (c) on beaches or through streams, dams, rivers or flood waters. due to lights or other electrical equipment being left on), You will be charged the Roadside Assistance Fee, unless you have purchased Roadside Assistance Cover. Roadside Assistance Cover does not apply if the Vehicle has been used in breach of clauses 3 or 4.1 or in respect of any additional amount(s) payable under clause 8.3. You must not have repairs to the Vehicle carried out unless Busselton & South West Rent-A-Car authorises You to do so. Busselton & South West Rent-A-Car requires verification of the cost of repairs for reimbursement and GST purposes. You should obtain an original tax invoice/ receipt to assist Busselton & South West Rent-A-Car. Busselton & South West Rent-A-Car will reimburse You for any repairs to the Vehicle authorised by it, provided that the cost of those repairs is verified. To the extent that Busselton & South West Rent-A-Car cannot verify the cost of repairs, Busselton & South West Rent-A-Car will not reimburse You. not use the Vehicle in contravention of any law. must pay the Roadside Assistance Fees (unless you have purchased Roadside Assistance Cover), and for any professional cleaning or odour extraction required because You or another person has been smoking within the Vehicle and for all parking, speeding and traffic infringements and tolls in respect of the Vehicle during the Rental Period. Rental Period, fair wear and tear excepted. the Vehicle to a location other than that stated on the Rental Document, Busselton & South West Rent-A-Car will advise You of theamount of the ‘one-way fee’ that You will incur (unless clause 6.5 (a)applies to You). If You do not tell Busselton & South West Rent-A-Carin advance, You must pay a ‘one-way fee’ of up to $1.80 perkilometre (depending on the type of Vehicle and the distance travelled) to be determined and paid at the end of the Rental Period. You will also be liable for any Rental Charges calculated under clause 6.4. Despite clauses 6.1 and 6.2, You must return the Vehicle to specified location agreed to by Busselton & South West Rent-A-Car. ‘Rates’ section on the Rental Document, the rates shown on theRental Document will not apply and You must pay Busselton & South West Rent-A-Car that standard rate for the Vehicle for the Rental Period and the Late Return Charge. (3) the Vehicle will be involved in an industrial dispute. keep the Vehicle locked and the keys under Your or theAuthorised Driver’s personal control at all times; andcomply with all applicable seat belt and child restraint laws. 5.2 Busselton & South West Rent-A-Car will provide 24 hour roadside assistance for all inherent mechanical faults (as determined by Busselton & South West Rent-A-Car or its authorised repairer) at no additional cost provided that the fault does not arise as a result of any unauthorised use of the Vehicle in breach of clauses 3 or 4.1. (b) You must pay Busselton & South West Rent-A-Car all Rental Charges (including additional Rental Charges) and compensate Busselton & South West Rent-A-Car in accordance with clause 8 for any loss Busselton & South West Rent-A-Car suffers (including all additional costs Busselton & South West Rent-A- Car incurs in recovering the Vehicle) up to the time that the Vehicle is recovered by Busselton & South West Rent-A-Car. (e) if you have breached the Rental Agreement, a per day loss of revenue fee based on the actual and estimated downtime of the Vehicle. South West Rent-Car, or Busselton & South West Rent-Car may debit Your Account with, the Excess Amount at the time of loss of, or damage to, the Vehicle pending Busselton & South West Rent-A-Car’s assessment of the loss and damage and, ifapplicable, the repair of the Vehicle, subject to Your right to a refund under clause 8.5(b). (c) For the purposes of calculating any refund under clause 8.4(b), Busselton & South West Rent-A-Car will add the Recovery Costs to the amount of the costs of damage and repair to the Vehicle. (d) If clause 8.3 applies, and if the total of the Recovery Costs and the costs and fees that You must pay under clause 8.3 is greater thanthe Excess Amount (with the difference being the ‘Gap Amount’),You must pay to Busselton & South West Rent-A-Car, or Busselton & South West Rent-A-Car may debit Your Account with, the Gap Amount. at the time of the damage. A-Car and paid by You under this clause 8.5 exceeds the final cost of the loss, damage or repair, Busselton & South West Rent-A-Car will refund the difference to You. (c) Busselton & South West Rent-A-Car will provide details to You of the final cost of the loss, damage or repair on request by You. 7.1 You must fill the Vehicle only with the fuel type specified in theManufacturer’s Specifications. 7.2 If You drive the Vehicle less than 200 kilometres during the Rental Period, You will be charged the Refuelling Service Fee per kilometre driven as set out in the Rental Document. Busselton & South West Rent-A-Car may waive the Refuelling Service Fee if You present a receipt indicating You have refuelled the Vehicle. You rent it and at the time You return it to Busselton & South West Rent-A-Car is determined by visual inspection by Busselton & South West Rent-A-Car of the Vehicle’s fuel gauge. (2) which arises from the use of the Vehicle by You or any person You allow to drive the Vehicle. This clause 8 does not apply to any damage or loss for which Busselton & South West Rent-A-Car is liable to You under this RentalAgreement. Remember that references to the ‘Vehicle’include all of its parts, components, Accessories andcontents (see the definitions of ‘Vehicle’ and ‘Accessory’ inclause 1). 9.2 Busselton & South West Rent-A-Car will meet Your reasonable out-of- pocket expenses in complying with clause 10.1(e) or 10.1(f). 9.3 If you do not comply with clause 10.1(b), and Busselton & South West Rent-Car is unable to investigate the Incident, Busselton & South West Rent-A-Car will debit all Rental Charges to Your Account pending receipt of Your report about the Incident. (c) any other amount for which You are liable to Busselton & South West Rent-A-Car under the Rental Agreement, in respect of a breach of the Rental Agreement or otherwise. 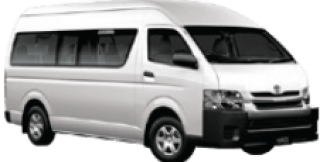 Busselton & South West Rent-A-Car will provide details to You of any amount payable under this clause 11.1. 10.3 Each Rental Charge calculated and invoiced to You at the time that You make a Vehicle reservation, and is subject to subsequent verification by Busselton & South West Rent-A-Car. If a Rental Charge is to be adjusted, Busselton & South West Rent-A-Car will provide details to You if Busselton & South West Rent-A-Car has Your contact details. 10.5 Distance charges are measured from the Vehicle’s odometer and are calculated upon return of the Vehicle. 10.6 You authorise Busselton & South West Rent-A-Car to charge all amounts payable to Busselton & South West Rent-A-Car under the Rental Agreement to Your Account. 10.7 If You pay Your Rental Charges by debit card, You acknowledge that it may take up to 7–10 business days for Your financial institution to release any amount which has been authorised by that institution at the request of Busselton & South West Rent-A-Car under clause 11.5 which is in excess of Your Rental Charges. 10.8 Busselton & South West Rent-A-Car will pay, within a reasonable time, any refund due to You by such method as Busselton & South West Rent-A-Car may reasonably choose. Clause 11.8(a) from the date of demand. Either party may terminate the Rental Agreement at any time if the other party commits a material breach of the Rental Agreement. Subject to clauses 6.2 to 6.6 (inclusive) and 11.3, You may terminate the Rental Agreement at any time by returning the Vehicle to Busselton & South West Rent-A-Car. (b) stolen from the Vehicle or otherwise lost during the rental. The following terms have their respective meanings in the PersonalProperty Securities Act 2009 (Cth) (‘PPSA’) – financing statement, interested person, register, proceeds, security agreement and security interest. (c) Busselton & South West Rent-A-Car may perfect its security interest by lodging a financing statement on the PPSA register. Busselton & South West Rent-A-Car does not need to give You any notice under the PPSA (including a notice of a verification statement) unless the notice is required by the PPSA and that requirement cannot be excluded. You must do anything reasonably required by Busselton & South West Rent-A-Car to enable Busselton & South West Rent-A-Car to register its security interest, with the priority it requires, and to maintain the registration. ‘Busselton & South West Rent-A-Car’ is the trading name of Busselton &South West Rent-A-Car Pty Limited ABN 89 612 198 160.Through this company Busselton & South West Rent-A-Car manage car rentals within the south west region of Western Australia. For this notice, Busselton & South West Rent-A-Car, we, us or our means Busselton & South West Rent-A-Car Pty Limited. WHAT PERSONAL INFORMATION DOES BUSSELTON & SOUTH WEST RENT- A-CAR COLLECT ABOUT ME AND HOW DOES IT COLLECT IT? details, referees, company name and employee number. We may collect information about you from you or through a travel agent, a corporate program, your representatives, one of our partner programs or a credit reporting body. We may also use electronic tools to monitor the location, usage and servicing of your vehicle, including your speed, time, fuel consumption, distances travelled and current and previous locations visited. We are required or authorised to collect some personal information under the Road Traffic Act (WA). If we are unable to collect your personal information, this may prevent us from providing our services to you or limit our ability to provide you with the level of service that you would normally expect from us. Where you provide us with personal information about someone else you must have their consent to provide their personal information to us based on this notice. BY BUSSELTON & SOUTH WEST RENT-A-CAR AUSTRALIA? We may use and disclose your personal information to offer you products and services provided by Busselton & South West Rent-A-Car. We may continue to provide these offers to you by email, telephone, or any other form of communication until you opt out. You can opt out by indicating your preference on the Rental Document or by contacting us. Last updated 30 May 2016.